Temple’s wild new directional freeride friend. 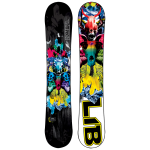 The Beast is designed for the aggressive rider who wants to ride the whole mountain with a focus on freeriding and absolutely killing new snow conditions. A nice long floaty nose combined with precise, stable C3 camber dominant contours combined with mild Banana rocker for float in pow and freestyle freedom. 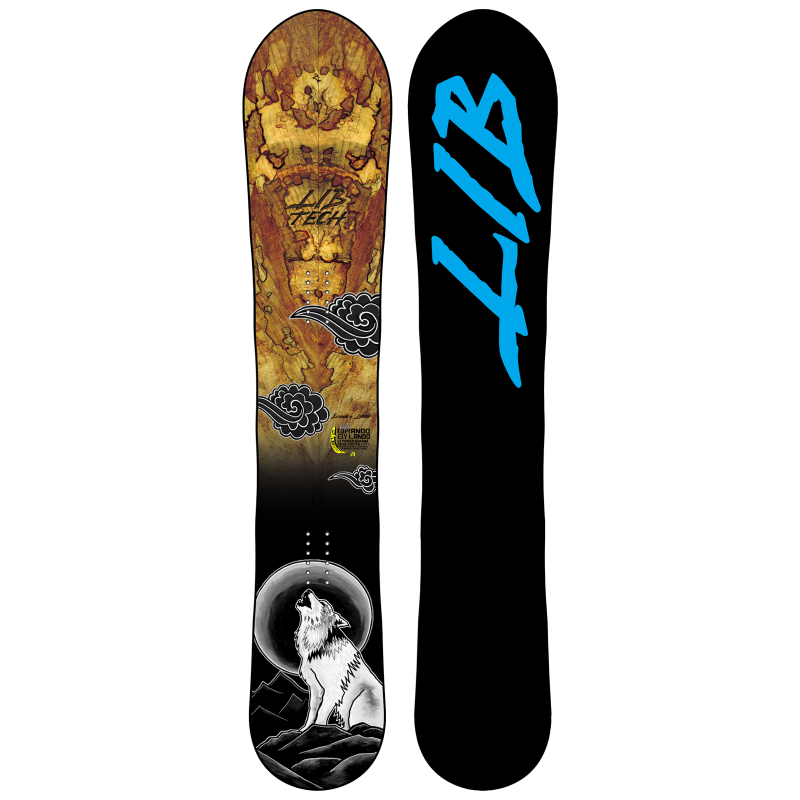 Temple built in enough tail to effortlessly handle freestyle terrain and float through the pow switch. The Beast is built for everything that makes freeriders around the world smile. Bases Come in Random Assorted Colorways! Legendary train jumper, four time Mt. Baker Banked Slalom champion and billy goat freeride line master Temple is a committed snowboarder. 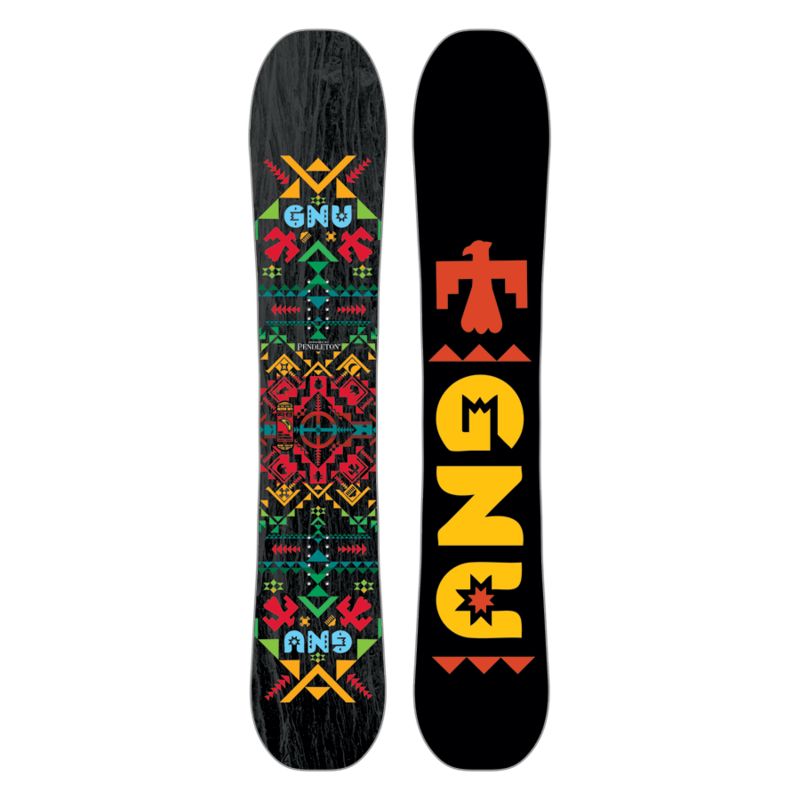 Working closely with the Gnu design crew since he was 13, Temple knows what it takes to build a snowboard you can count on when you get yourself in a little deeper than you planned, need to lay down a perfect carved turn against the grain or have fun shredding with friends and family. This year Temple has added aggressive high performance C3 camber dominant Banana technology to his model. 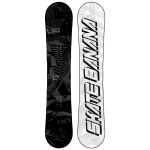 C3 offers; precise carving and control, end to end stability for big landings and critical lines, and mild Banana rocker that floats in powder and rips in freestyle terrain. Temple combines his geometries with solid momentum carrying construction that includes Anvitex dampener, farmed eco woods and a fast sintered base. Forrest Burki, Temple Cummins and Matt Edgers put the Billy Goat to the test all year long, it will not let you down. Designed and ridden by Mathieu Crepel, Blake Paul, Max Warbington and crew with a focus on park, this all terrain freestyle pickle has been tested and refined in every condition all over the world. Whatever whenever, wherever…the Riders Choice bursts Olympic Pipes, cleans dirty streets, jocks X Games Parks, destroys local resorts, points Alaska Heli and will make you happy anywhere else you want to take it. Award winning asymmetric sidecuts and construction balance your body’s bio mechanical asymmetry and are naturally easy to ride. C2 Banana Camber combo geometries provide confidence building end to end stability, pop and control at critical moments, Banana tech provides incredible float in pow and limitless catch-free freestyle progression. Your jib board is your pow board, your pow board is your park board. Balance through asymmetry! Danny Kass is an American hero and has one hot mid wide Banana! Danny spent years riding super taco’s all over the world and polished his Banana to perfection, in an environment where carrying a fast line through the flat bottom is the difference between victory and defeat and controlled pop off the lip is the difference between progression and the hospital. The two time Olympic silver medalist and five time US Open champion’s mid wide twin XC2 BTX with new Liquid Crystal Polymer is a high-tech smooth riding banana that will take you places you never imagined. 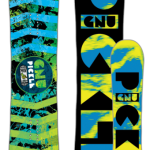 Camber at each end for pop and stability on landings, Banana between your feet for float in powder and incredible edge-hold and carving control on hardpack and ice. Award winning “Pickle Technology” balances through asymmetry. 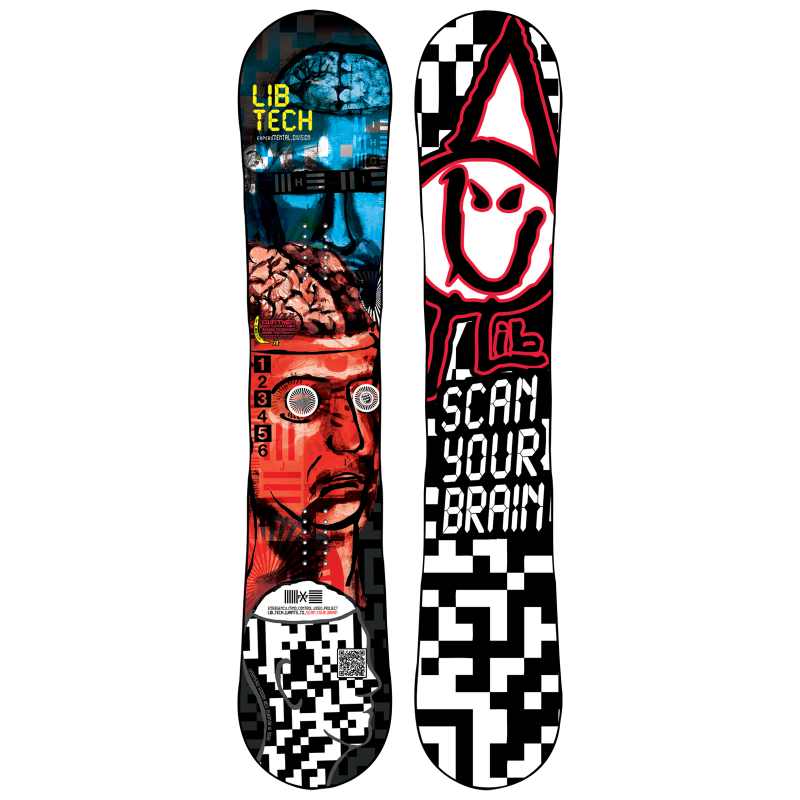 Your body is asymmetric, your snowboard should be designed to work in harmony with what nature created. Pickles, with a deeper heel side sidecut and unique asym core, are designed around the different turning mechanics required for heel side turns and toe side turns and are perfect for progressive park/freestyle riding and duck stances in all terrain. 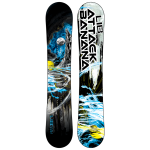 Banana between your feet for easy riding, catch-free park freestyle performance, and unreal float in powder. Magne-Traction for unreal edge-hold everywhere. Handbuilt by snowboarders at Mervin Mfg. using fast growing eco woods and environmentally friendly construction techniques, the Pickle is some delicious green technology! The B-Street is a playful park slayer that’s become a solid staple of the women’s line. 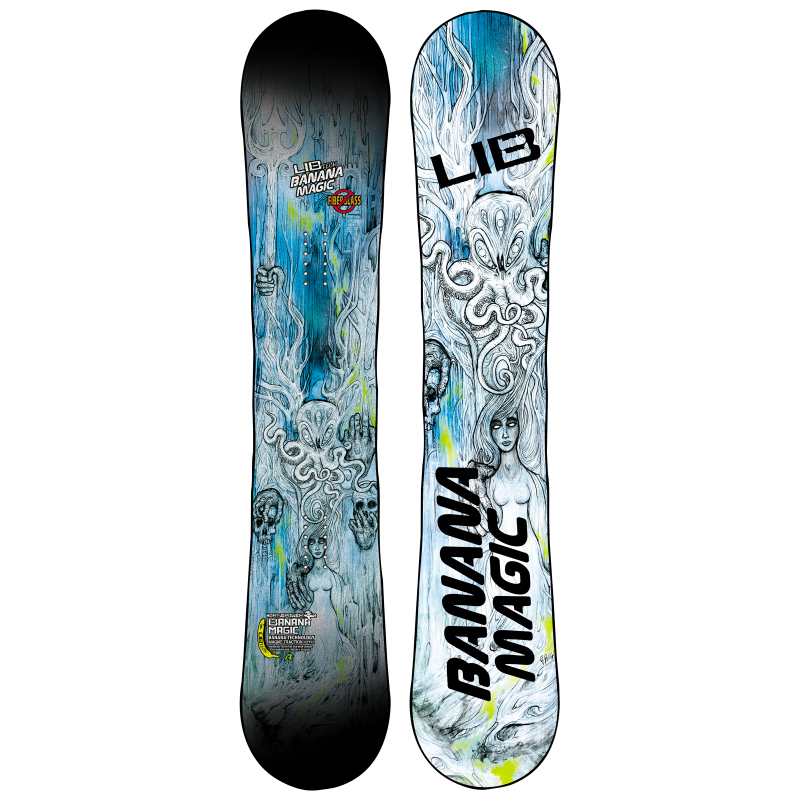 It’s a jib focused twin freestyle Banana that can still perform outside of the park thanks to award winning Magne-Traction technology. Go ahead and dull your edges down, you will still be able to hold your edge and carve like those hard booters if you want to after hitting up that urban rail. The B-Street has a fun, poppy flex that’s perfect for freestyle and it won’t turn to mush after beating it down on metal and concrete if that’s what you’re into. Combine a little attitude with this classic Banana and there is nowhere you can’t go. Streets, mountains, or parks… the world is your playground with the B-Street. Award winning easy to ride technology. All terrain freestyle performance for new traditionalists of all ability levels, handmade in the USA by snowboarders at Mervin Manufacturing. 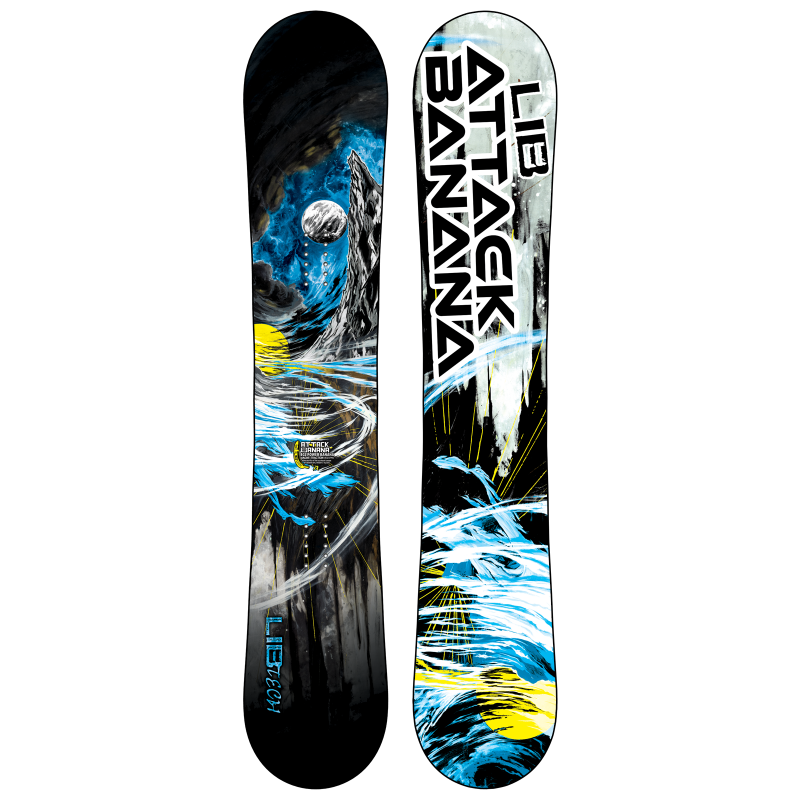 Banana Technology is easy to ride, rips the hard-pack, kills the jibs, floats powder unbelievably. 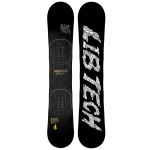 The Magne-Traction serrated edges give you awesome control and edge-hold even on ice. A Carbon Credit is all you need to go from beginner to pro, Danny Kass started on one. Also available in wides. 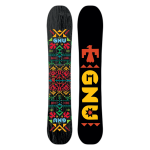 TWSNOW Good Wood Winner! NEW SIZE 143! All Terrain Eco Techno Banana! The world’s smoothest riding, liveliest and most environmentally friendly construction. Award winning Banana Tech Magne-Traction geometries! LCP Liquid Crystal Polymer, thermo treated polyester fiber has ten times the strength of titanium and incredible vibration absorption dampening qualities. 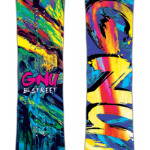 Gnu eco-genetic woods combine the best properties of Bamboo, Aspen and Balsa to provide unbelievable pop and light weight! Bio Polymer top material made from beans provides the industry’s highest strength to weight ratios, and combined with Mervin’s “Eco Sublimation” water based printing, is nice to the environment. Eco science is fun! Fun, easy to ride, high performance. Kills powder, rails, hardpack and ice. Great for beginners, ridden by pros. Art by Mike Parillo, geometry by the Lib Tech experiMENTAL division. Available in narrow, regular, and wide widths. Skate a Banana! The Camber dominant C3 Hot Knife is the best of both worlds for the aggressive rider featuring the improved carving and edge hold, easy float in pow and catchfree freestyle freedom of Banana combined with the precise control, power pop, and stability of traditional 90’s camber. 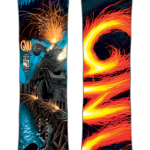 The Hot Knife’s all terrain freestyle / freeride shape, geometries, and smooth carving sidecut will kill it all over the mountain from the park, and pipe to the gnarliest backcountry lines. 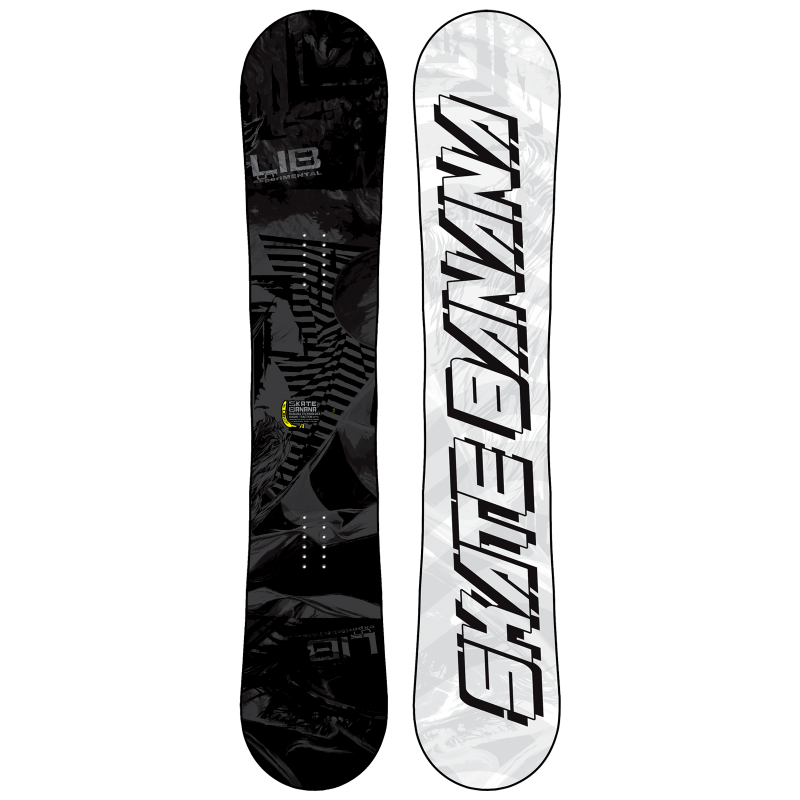 THE WORLD’S BEST CAMBER SNOWBOARD IS A BANANA! Designed for aggressive all terrain freestyle rippers. 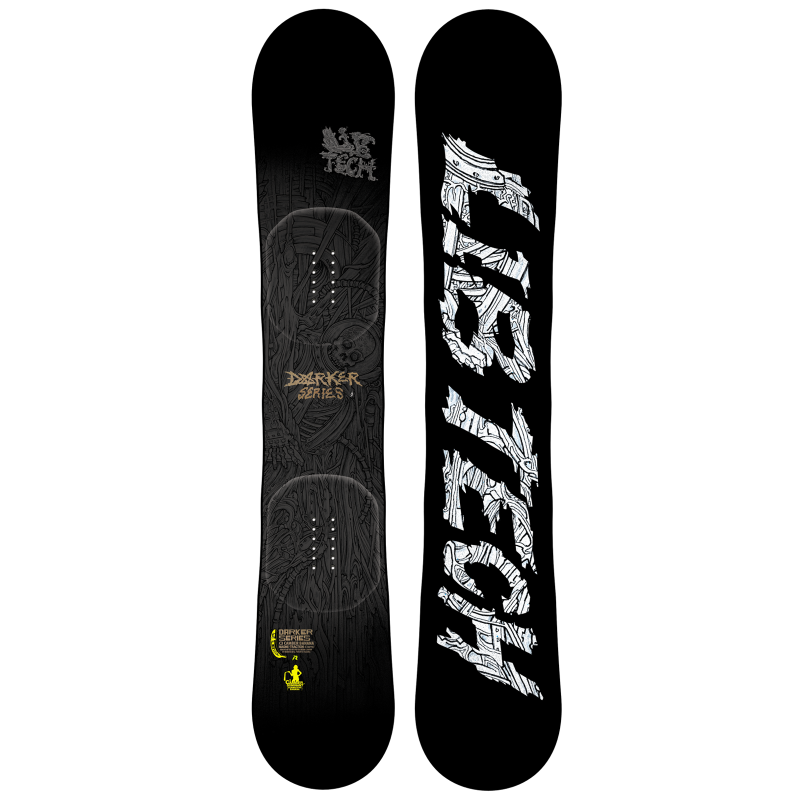 3D Bamboo binding platforms and organic torsion boxes transfer power control and energy from your bindings directly to your edges and stiffen your board at your feet for stomped landings and critical terrain control. Transfer spines offer precise response and big pop. The board of choice for Mervin experiMENTALIST Apostolos Karabotos, Jason Robinson and crew. Available in regular widths & wides. 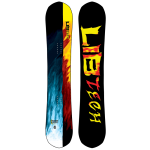 The perfect all terrain freestyle snowboard for snowboarders who like to rip, add tricks and have fun. This one rides halfway between original Banana and C2. 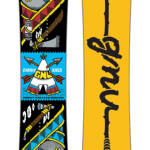 I like this one because it feels great playing in the park and has enough tip and tail stability to feel powerful on the big take offs and landings but still floats effortlessly in pow. 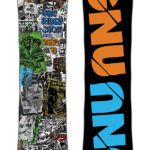 It’s really the only board I need… this board makes me trust Mervin MFG. Available in a couple of wide widths. 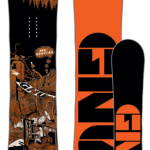 HP means strong and light, perfect for today’s progressive freestyle or powder Ape with a job and some free time. Big guys need light set ups, their snowboards are always big, wide and long so a light construction really makes a difference in the pow, on a chair, or when you are spinning after one of those fancy tricks. NEW! Ultra wide for giant feet. 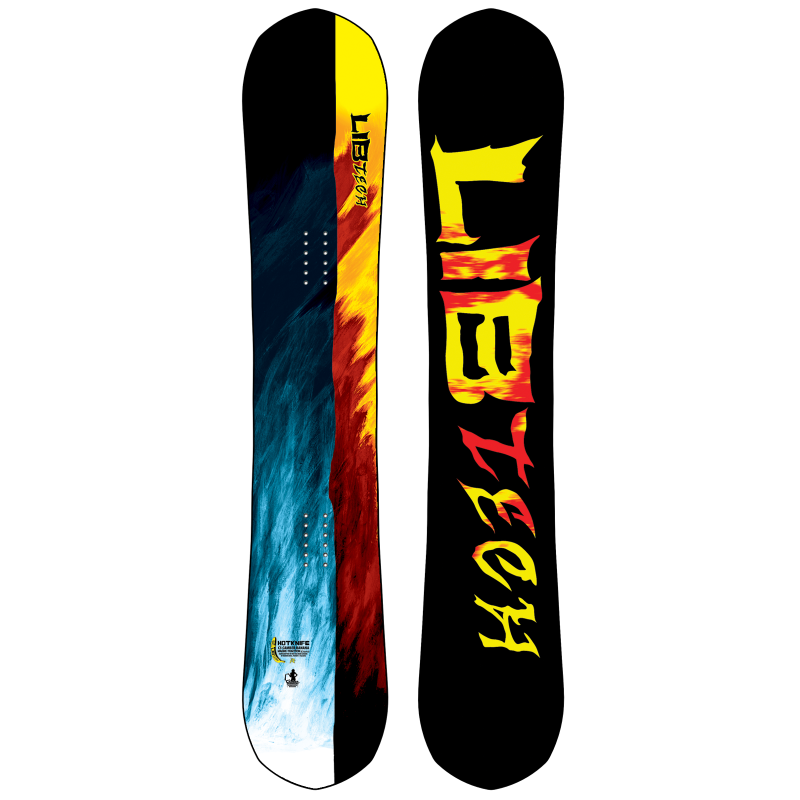 Lando and Jamie spent some quality time on a directional tapered angle snowboard we called the Mullet. 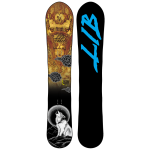 Lando talked us into bringing back a refined version for those deep Cat days or shredding resort pow days that always mix in some hardpack runs. 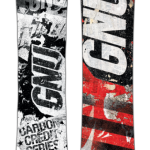 This thing rips everything in both directions and absolutely kills the broken snow and pow. Lando is a woodworker and builds incredible furniture, the topsheet is a combination of Jamie’s art and some of Lando’s secret stash of naturally fallen spalted timbers bookmatched and brandoed by Lando. Have fun riding anything, anywhere, anytime with the Box Scratcher Snowboard! Now with brain scan technology! 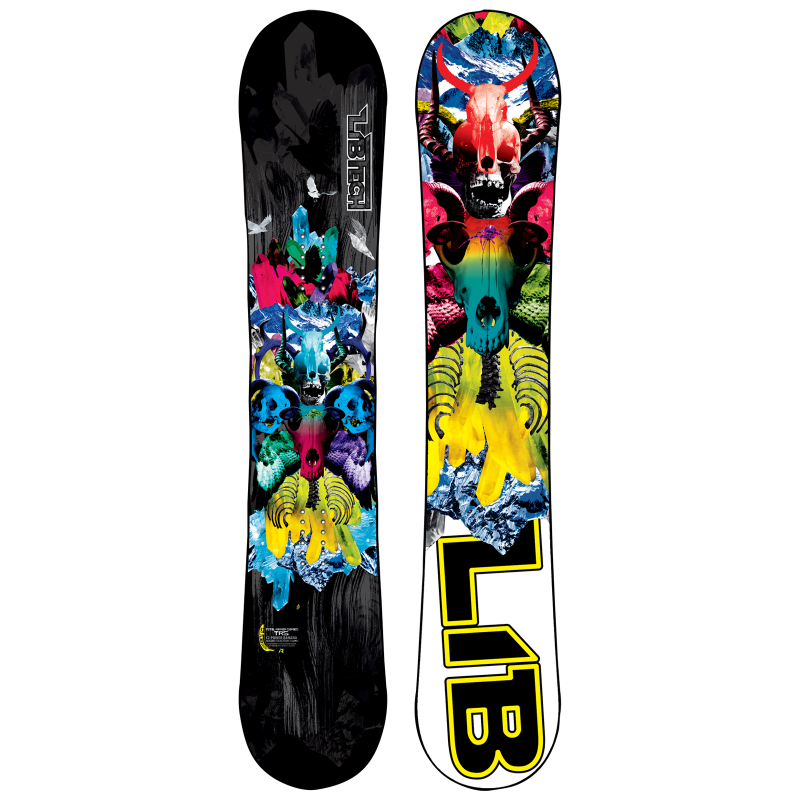 Do you like to snowboard? So does Jesse Burtner! That’s why we made him this good time party board that lasts him a long time. Whether jibbing a refrigerator, hand planting a stegosaurus, whirling like a dervish, or surfing an air current like a beautiful plastic bag through a desolate parking lot, the Box Scratcher has you covered. The new kink nose and tail help with buttering and presses (as well as impressing buttery ladies). Ride it in reverse! SCAN YOUR BRAIN! 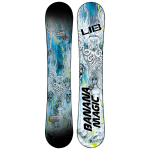 Lib’s new XC2 Power Banana takes our award winning C2 geometry to dimensions of X even we don’t understand. The XC2’s directional twin shape has lengthened camber under foot for increased end to end stability, pop, and tip to tail edge contact in firm snow, and a shorter Banana between the legs to keep you effortlessly floating through powder in at least two directions. Sammy Luebke took it to the podium as overall champ of the North Face Masters tour, E Jack ripped it from North to South America, and Blair took it where no one else wants to go in AK. Available in Narrow sizes.